It became known as the Great Quake of 1906. April 18, 2006 marks the centennial anniversary of the 1906 San Francisco earthquake. 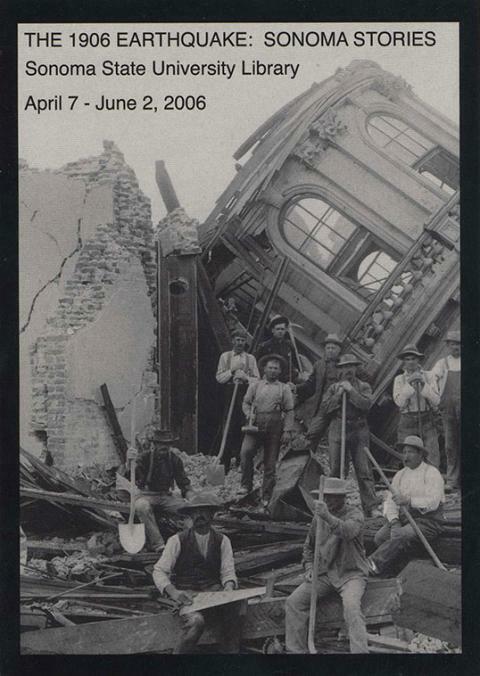 In commemoration of this event, the University Library Art Gallery hosts the exhbition The 1906 Earthquake: Sonoma Stories.